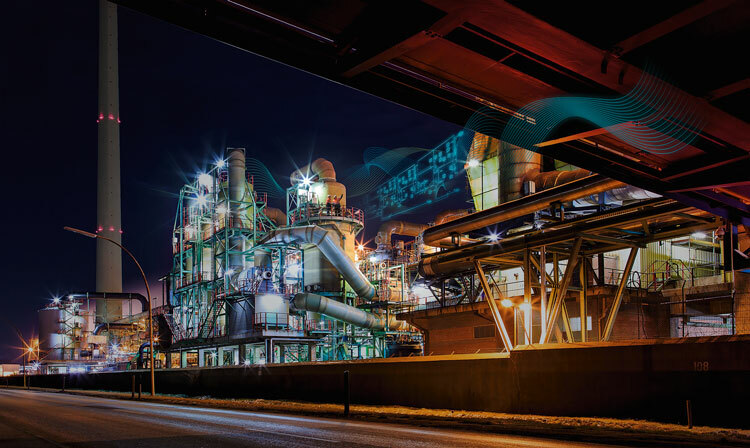 Using a new digital solution developed by Bentley Systems and Siemens PLM Software, enterprises can deliver capital projects more efficiently using digital twins to manage complexity and simulate the performance of intelligent plants. Exton, Pa. — Siemens PLM Software and Bentley Systems announced an integrated solution for enterprises to deliver capital projects more efficiently, combining the Teamcenter portfolio with Bentley’s ProjectWise and its Connected Data Environment (CDE). Teamcenter is the world’s most widely used product life cycle management (PLM) system, and ProjectWise is the project delivery collaboration platform for 43 of Engineering News Record’s global Top 50 Design Firms. The new offering continues Siemens’ and Bentley’s strategic alliance that was announced in 2016 and will uniquely extend enterprise visibility across program management of capital project engineering and construction. The leading capabilities for systems engineering and requirements management within Teamcenter, and life cycle simulation of engineered components, are now complemented by Bentley’s CDE to take advantage of a project digital twin. Project digital twins automate digital alignment and change synchronization across the project supply chain, enabling continuous and comprehensive status reviews. Digitalizing a plant from the beginning of a project enables the aggregation and dissemination of data in a scalable and manageable fashion. By connecting digital twins with a consistent digital thread, companies can reduce project delivery costs and avoid cost overruns and can improve operational margins by increasing plant productivity and reducing operational overhead. Enterprises can now achieve consistent digital workflows that span project economics, program management, and project controls to speed up capital project delivery, reduce cost overruns, and improve fit-for-purpose project outcomes. In the energy and utility industries, for instance, given current energy forecasts, companies need to work more efficiently and cost effectively when implementing capital improvement projects. Traditionally these extremely complex and expensive projects have many groups, beyond engineering and construction, working independently to drive the project forward. Extending Teamcenter through project delivery, the CDE enables visibility along digital threads of connected 2D and 3D models, dynamically managed to reflect project status. This allows for the continuous assimilation of design and engineering data, to be visually and analytically accessible as appropriate by team members across the wider enterprise and supply chain. Incorporating capital project engineering and construction models in this integrated way enables diverse simulations throughout the project management process to anticipate real-world issues, and more informed decision-making by virtue of real-time understanding of the impact of any design change. The solution will be available to the market beginning in early 2019.